IMS Resistors - RFMW UK, Ltd.
IMS is a leading manufacturer of thin film and thick film passive components — Resistors, thermal management devices, attenuators (fixed and temperature compensating), splitters, couplers, dividers & filters. 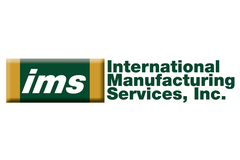 Founded in 1974 in Portsmouth RI USA, International Manufacturing Services (IMS) is a leading manufacturer of thin film and thick film passive components for DC through millimetre wave applications. They provide both standard and custom components including resistors, thermal management devices (Therma-Bridge and Therma-Plane), allenuators (fixed and temperature compensating), splitters / couplers and dividers / filters. They are a very friendly company and enjoy working closely with customers to ensure an optimum (and often innovative) solution is found. IMS was founded by former GE Executive, Hank Liiv. What started as a small build-to-print house has grown into a global leader of thick and thin film technology serving the world’s foremost defense, medical, industrial and aerospace organizations.